Classic. How could she not like a card that spells out the laughter? haha YES. A man who appreciates a subtle hint to show when I’ve just made a funny. 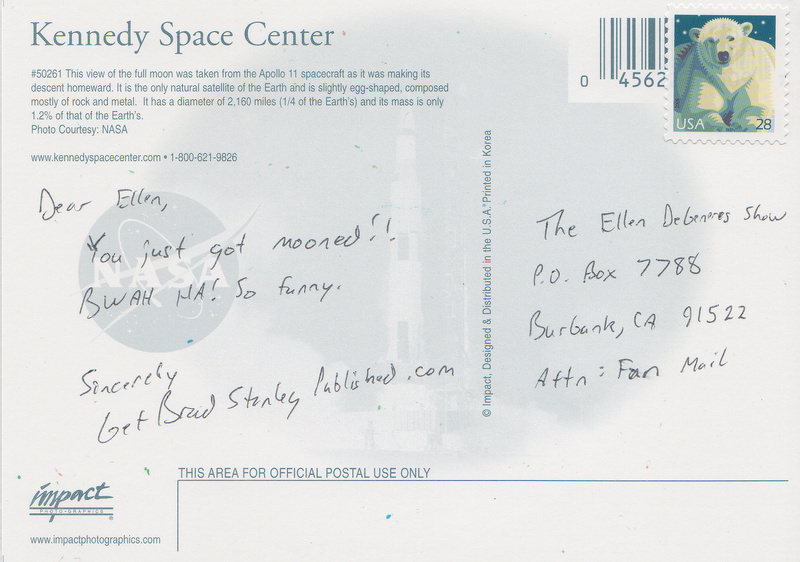 You write a fine postcard Mr. Brad. Well done. I love it.